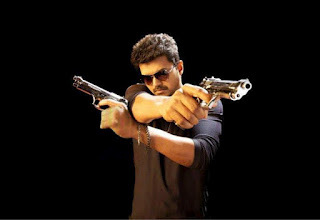 The much awaited film of the year Vijay starrer Thuppakki Kerala rights has been sold for best price. A leading distributor from Kerala has acquired the distribution rights of the film for a best price. Kerala rights of the film have sold by a leading distributor Thameens for almost double amount of Vijay’s previous release. Gemini Film Circuit has bought all the distribution rights of Thuppakki and Vijay TV has bagged the satellite rights of the film. Meanwhile the makers of the film is waited for the final judgment from the Chennai High Court regarding the title issue.